The title of Barack Obama’s first memoir was Dreams from My Father – and fatherhood seems to occupy a central role in the Democratic presidential candidate’s vision of a strong America. Much has been made of his complex relationship with his own dad, who left the family when Obama was two years old. The senator’s struggle to marry his image of this fantasy figure with the reality of the man himself is the central topic of his book. 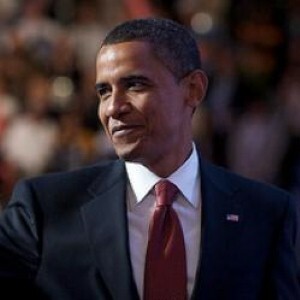 It may also have led him to make his controversial Father’s Day 2008 speech at the Apostolic Church of God in Chicago. Obama chose to speak about absent fathers in the African-American community, telling the audience that a dad’s responsibility "does not end at conception" and requires "courage" to raise a child. Some argued that he went too far in demonizing a particular group that is already struggling, while others praised him for pointing out what so many have been afraid to say. On a personal level, supporters of the Illinois senator highlight his role as a proud father of two smart and apparently well-adjusted young girls. However, others raise concerns about how such an intense work and travel schedule impacts his relationship with his family. With so many questioning Sarah Palin’s familial responsibilities, what about Obama’s?